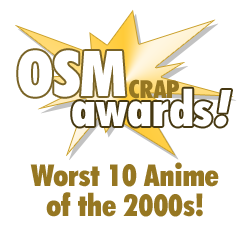 OSMcast: The Worst 10 Anime of the 2000s OSM(crap)awards! I have nothing witty to say here. 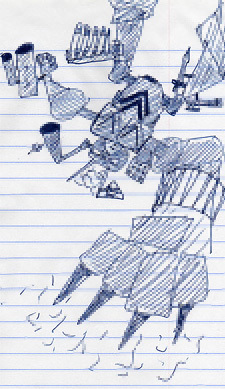 Normally on the OSMcast!, we tend to try and talk about the things that we like. Things that are awesome. Sometimes awesomely good, sometimes awesomely bad. Occasionally however, we do decided to get our hate on. This is that kind of show. HOWEVER, what we DO bring along with this (2 HOUR) cornucopia of bile and anger is an awesome guest: Gerald of Anime World Order! Haters Gonna Hate WARNING: This is a podcast about griping. Sometimes on things we have gone on the record of saying that are awesome! It happens! 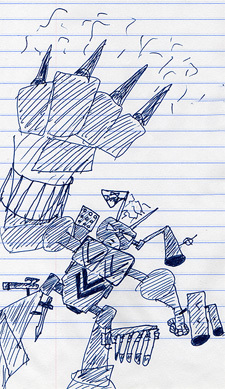 Nothing is perfect, not even Giant Ro- Okay ASIDE FROM GIANT ROBO, everything has it’s issues. And we will be talking a lot about those things. Please realize that we also do like many, many things, that you can find in other the OSMcast’s Index of OSMs Past, and AWO’s Review Index. THERE. DONE. OVER. Now nothing more can be said that hasn’t about the 2000s! We just finished it off! Boo-yah! Well, OK. Perhaps that is not the case. But nevertheless, we should look our eyes upon to THE FUTURE! 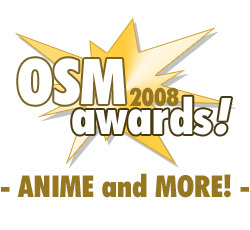 And the future is the OSMcast will be in TWO count ’em TWO anime cons in June. INSANITY. Those two cons? Why had you read the entry for the previous podcast, you’d know! They are HamaCon (June 4-6, Huntsville, AL) and Seishun-Con (June 25-27, Atlanta, GA). We will be doing a bazillion panels and things there. You should check them out if at all possible! 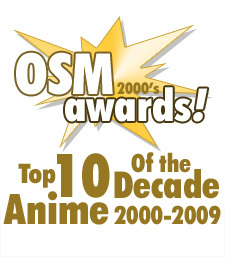 OSMcast: The Top 10 Anime of the 2000s OSMawards! The gold color scheme means it's special. That’s right! 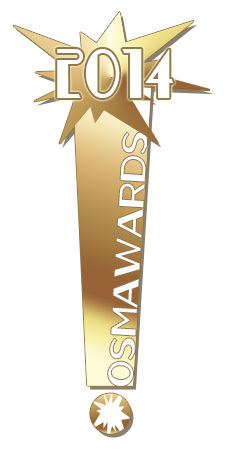 AWO isn’t the only podcast doing a “decade in review” podcast months after everyone else did one! We’ve got one too! Although ours is a little different. Basil, Eric, Kevin, and Rail worked up our each individual Top 10s and then we talk about them in a monolithic almost two hours ironcaged deathmatch of DEATH. Hopefully you have found something you liked! If not, that only means you are already us relistening to ourselves talk. So cut it out, will ya?! Next time, something from the wacky fun-filled world of OHAYOCON! It’s a better late than never podcast as the crew at OSM Central takes a crack at our favorite Japanese animated things for the year 2008! The EPIC CONCLUSION of the 2008 OSMawards! Yay! I’m kinda tapped out of things to say, so we’ll just repeat the contest again and call it a week. Next week’s OSMnotes will be more awesome, I promise!